Europe – October was another packed month for the Green Hippo training division, involving a week-long residency at Backstage Academy in Production Park and a successful private training session in the Baltic region. 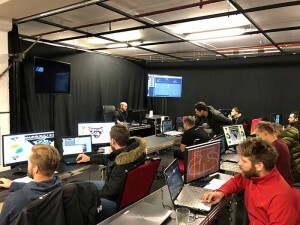 Green Hippo is renowned for its commitment to training excellence; its Hippotizer training sessions, known as HippoSchool, have been running for over ten years, visiting over 38 countries and training over 2,000 students, freelancers and professionals, and October 2018 marked the beginning of Green Hippo’s new partnership with Backstage Academy, the Production Park-based centre of excellence that specialises in degree courses, short courses and training programmes for the live events industry. 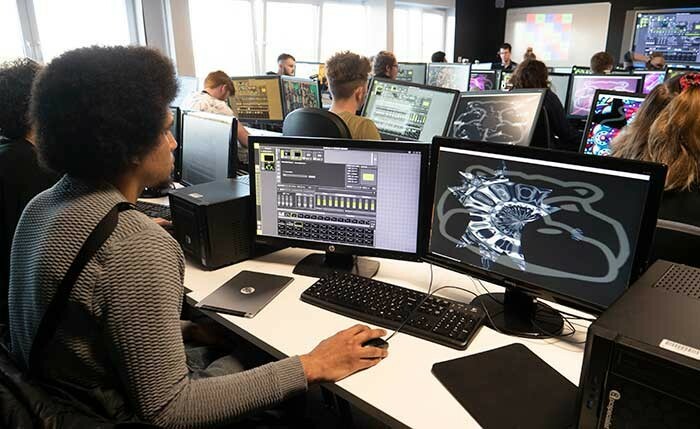 This new partnership, announced earlier this year, means Backstage Academy’s students now have access to three of Green Hippo’s Hippotizer Amba+ media servers, supplied by A.C. Entertainment Technologies. Additionally, Green Hippo will also deliver training courses, giving real-world work and project experience to Backstage Academy’s students and staff. The first of these sessions saw two Green Hippo product specialists travel to the Academy to deliver a week of invaluable instruction. Green Hippo’s product specialists Suzy Stenning and Zep Mouris spent the first two days at Production Park delivering training to Backstage Year 1 and Year 2 Live Visual Design & Production students. On Wednesday it was the turn of Year 3 students to get hands-on with Hippotizer media servers, and the final two days covered training to Live Event Production students of Years 2 and 3, as well as to Live Visual Design & Production students of Year 2. When it came to the Baltic region, Green Hippo’s Alex Kirby was the product specialist happily tasked with a trip to historic Vilnius in Lithuania. The country’s capital city is home to Video Projektai and Alex delivered two days of private training to the Lithuanian company’s technical team. Covering Hippotizer Basic 1 & 2, Alex worked with a total of 11 delegates, enabling hands-on insight and understanding of Hippotizer media servers. To see the upcoming Green Hippo training courses click here. The Green Hippo team of product specialists is also available for private bookings. Simply get in touch, explain your needs, and your training session will be precisely built around your team’s requirements.